Fully-qualified, highly-experienced and ready for action: our team is your perfect partner for concrete polishing projects. We use the latest equipment and are fully insured and licensed; customer satisfaction is guaranteed. We take residential and commercial projects, and no job is too big or too small. 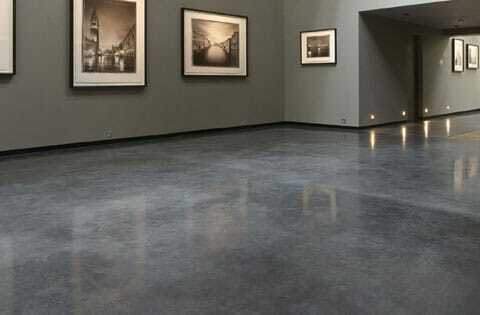 Our work starts the moment you decide you want a polished concrete floor. A member of our team will perform a free site visit to discuss your options with you and provide a quote for our work. Upon acceptance, we’ll then book you in for the polishing process as soon as possible. On the day, we’ll use a series of progressively finer grinding and polishing pads to deliver the finish you want. The amount of work will depend on the current condition of the floor and the desired level of polish. During this process, we may use sealers and densifiers to help create a long-lasting impermeable finish. 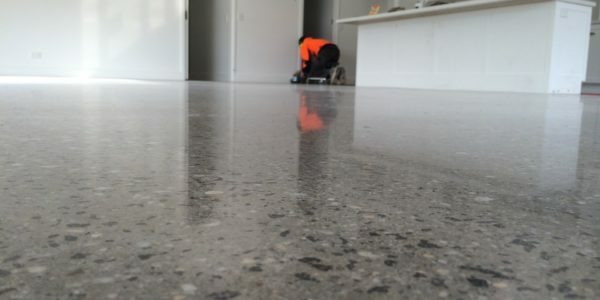 Concrete polishing is the cheapest and most efficient way to transform a bare concrete floor into a versatile piece of flooring that looks great and has very few maintenance requirements. It is ideal for a wide range of situations including warehouses, hotels, offices, retail stores, and private homes. It uses the original foundation – so no further materials needed. It does not require any coatings or toppings that are bad for the environment. It Is long lasting so won’t need to be replaced for decades. Cleaning is easy and doesn’t require strong chemicals. Highly-reflective, it reduces the amount of lighting needed in the room. 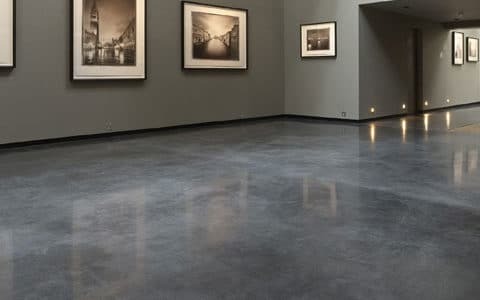 Because it does not require any further materials and has a long lifespan, polished concrete offers significant cost savings over other floor materials. For example, a carpeted alternative requires additional materials, will need to be replaced multiple times during the lifespan of the alternative concrete floor, and will be harder and more costly to maintain and keep clean. 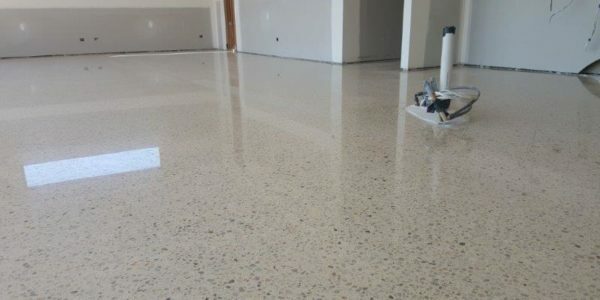 Polished concrete floors resist staining and can be kept clean with regular damp mopping. This saves employee time and ensures your floor is always looking great. The overall cost reflects the amount of labour and materials necessary to deliver your desired outcome. 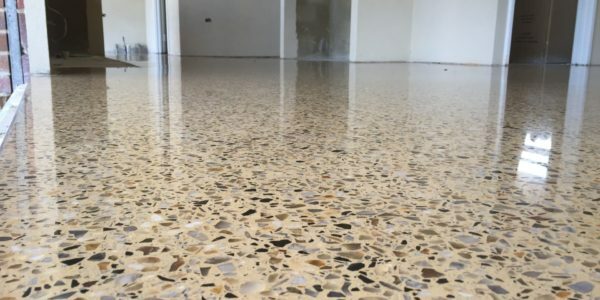 The three main factors are the current condition of the floor, the size of the floor, and the level of polish you require in your finished floor. If you are ready to consider a price for your job, please contact our team so we can quote you a price. Need some help with concrete flooring? Contact our team today for your FREE estimate.